48" hardwood ash handle, made with a select #1 grade Ash. Heel designed for dependability, and is most popular heel of choice. 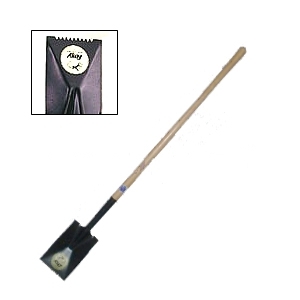 11 gauge steel plate, measuring 6" x 11"
Heel covers and reinforces nearly 80% of the spade.